It came as a surprise to me recently that when I was in the produce section at the supermarket with my daughter when she pointed and exclaimed, Broccoli! I like that stuff! When I inquired, she told me that her school cafeteria serves it frequently so I promised to prepare more dishes with broccoli. 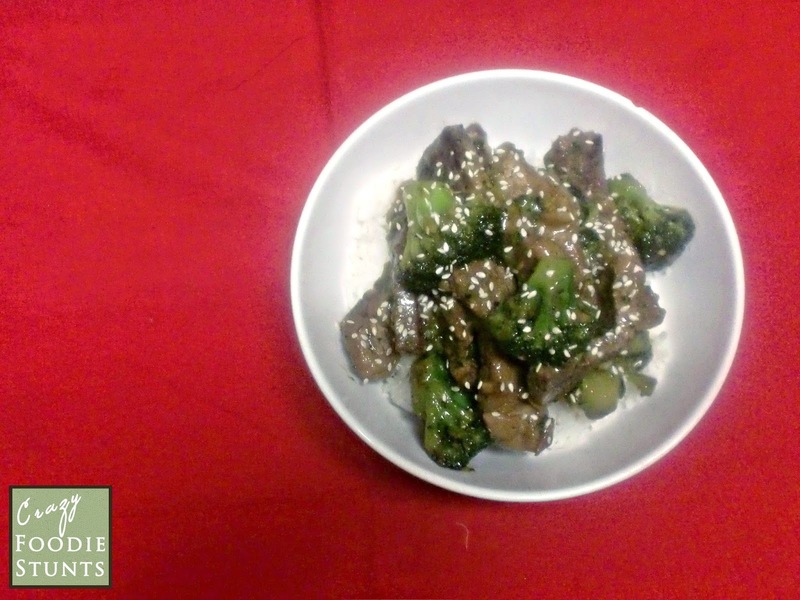 Over the last several months, I've gotten to know the staff at the local supermarket so I had them slice a couple of sirloin steaks so that they would be suitable for a stir fry and the prep for the garlic, ginger and broccoli took less than 20 minutes which makes for a great weeknight dish. Measure my daughter's taste for broccoli. The only place where I deviated from my source was in the garnish (I added sesame seeds) so I'll refer you to epicurious.com for the recipe. As I'm finishing my dinner, I look over to my daughter's plate to see most of the beef gone, but only half of the broccoli eaten. She eventually finished the beef but left about one-third of the broccoli which is more than I expected, however I'm now on a new quest to find a broccoli dish that she will completely eat. You can bet I'll be consulting The Flavor Bible. It's highly unusual that I'd publish two sweet dishes in a row and no, there's nothing wrong with me. I'll be back to my savory self probably in my next post. 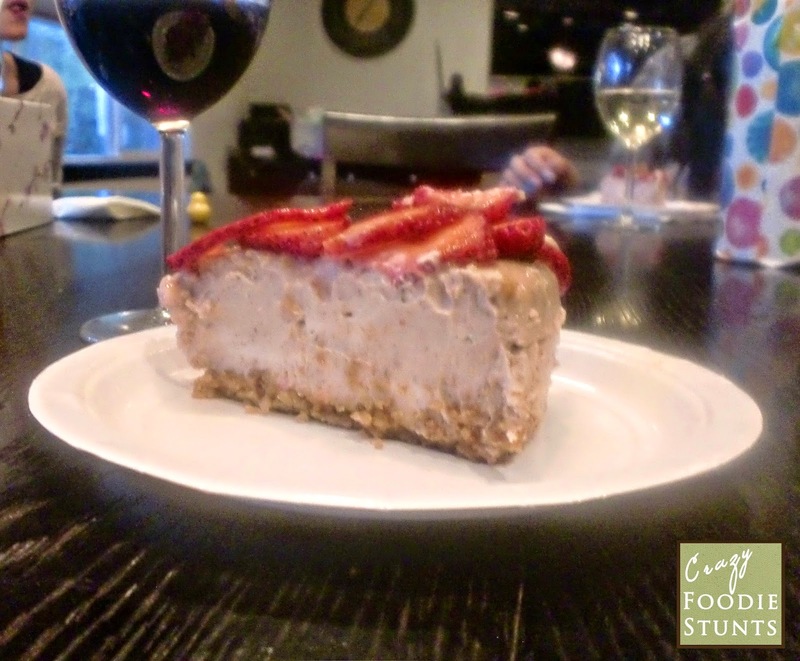 This dessert happened simply because some friends from California were visiting this past weekend so we met at a mutual friends' home (the three of us knew each other from college) just north of Seattle for dinner where I was asked to bring a dessert and decided upon a cheesecake. 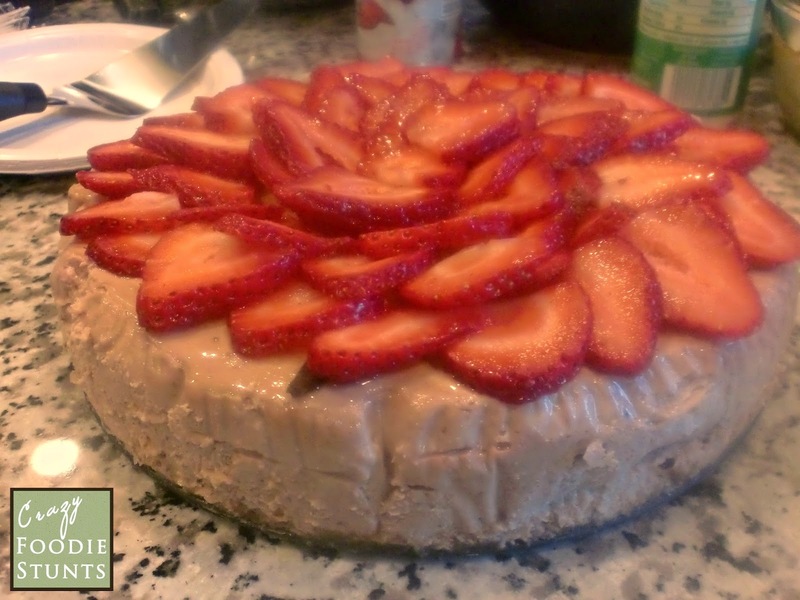 I was a little surprised when I did a google search for strawberry cheesecake because I found a lot of plain cheesecakes with a strawberry topping. I found only two that put strawberry purée into the cake batter and chose the one that used fresh strawberries. In addition, I knew pairing strawberries and balsamic was pretty common in Italy and I have some experience with the affinity myself last summer when I made a strawberry balsamic ice cream so a made a few additions. Uphold the reputation I built for myself as a food blogger. 1. Prepare the strawberry purée. Preheat the oven to 300º Fahrenheit. 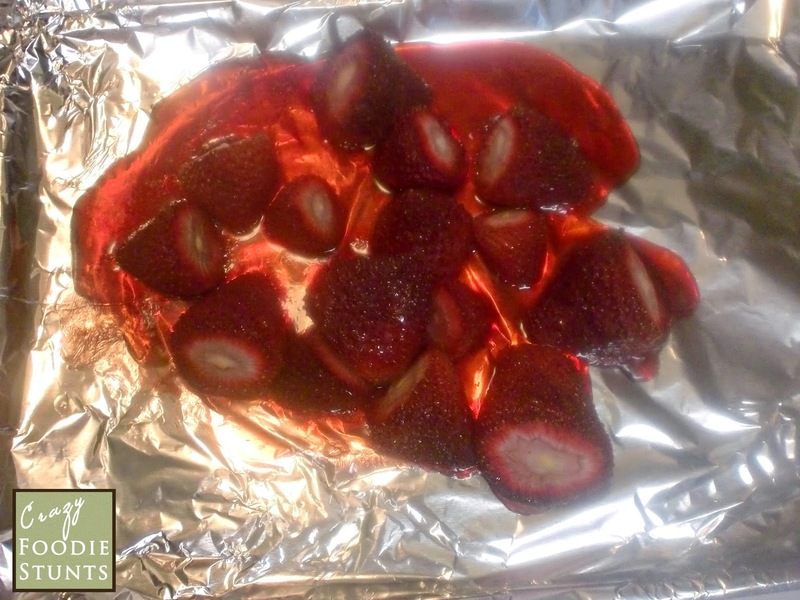 Combine the hulled strawberries with the corn syrup in a small bowl, then place on a aluminum foil-lined sheet pan in a single layer and roast them in the oven until they are a deep red, the syrup thickens and the berries shrink slightly, approximately 90 minutes. 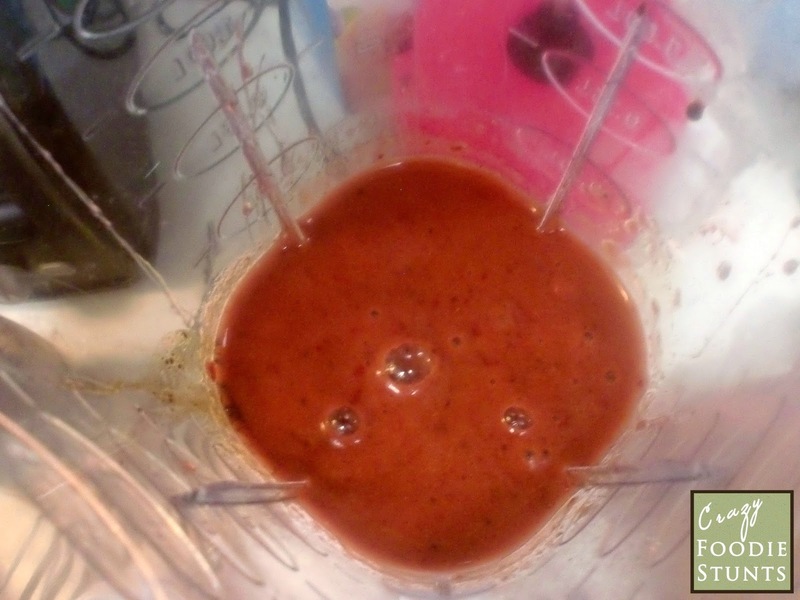 Empty the strawberries and any fluids into a blender to purée. While the blender is running, add the balsamic vinegar. Set aside to cool completely while the crust is prepared. 2. Prepare the cake crust. Increase the oven temperature to 350º Fahrenheit, then spray a 9-inch springform pan on the bottom and sides with cooking spray (or apply approximately 1 tablespoon butter, if substituting). Line the bottom and sides of the pan with parchment paper, then wrap the bottom of the pan in a double layer of aluminum foil. Grind the graham crackers in a food processor with 3 tablespoons sugar. Slowly pour in the melted butter until a paste is formed. 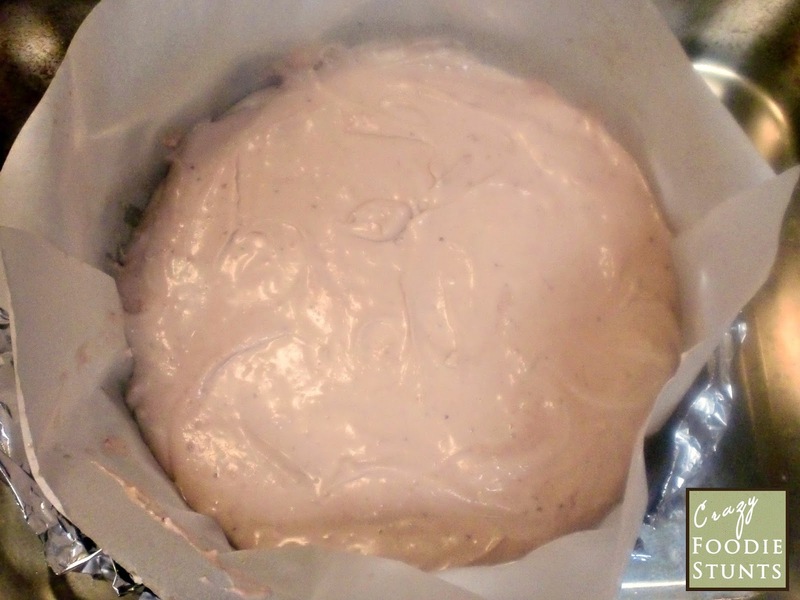 Transfer the paste to the springform pan in an even layer so that the entire bottom is covered in crumbs. 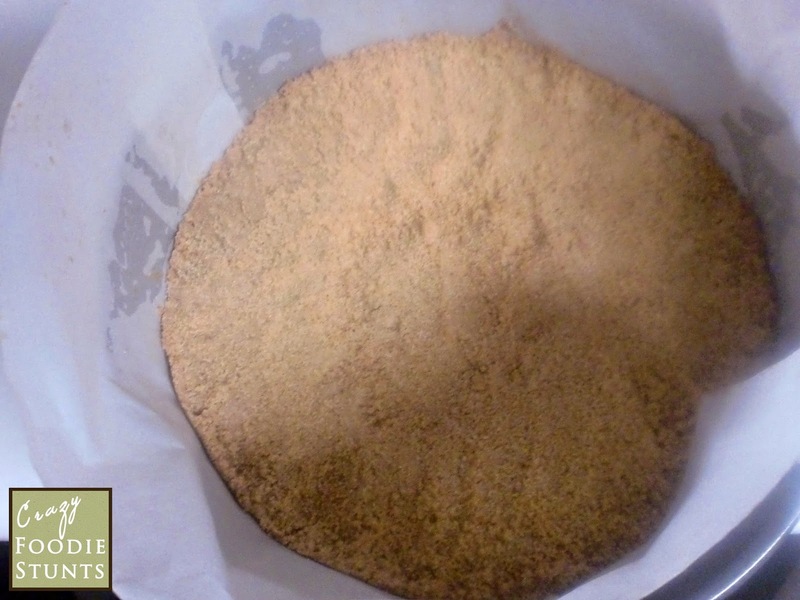 Bake the crust in the oven until it is firm and has slightly darkened, approximately 10 minutes. Set aside on a wire rack to cool while you prepare the cake batter. 3. Prepare the cake batter and bake the cake. Decrease the oven temperature to 325º Fahrenheit. Place the cream cheese bricks into a mixing bowl and mix with an electric mixer, using a paddle attachment until creamy, then scrape down the sides of the bowl. Mix in the sugar and salt, eggs (one at a time), vanilla and mascarpone until creamy and there are no lumps, scraping down the sides of the mixing bowl after each addition. Stir in the reserved strawberry purée until the batter becomes uniformly pink in color. Empty the cake batter into the springform pan on top of the crust in an even layer, using a baking spatula to ensure the cake is flat on top. Place the springform pan in a large roasting pan and pour enough boiling water in the roasting pan so that the water level reaches halfway up the side of springform pan. Bake in the oven until set, approximately 60 to 70 minutes. Remove from the water bath, then place the springform pan on a wire rack to cool before covering with aluminum foil and refrigerating it overnight. 4. Garnish the cake. One to two hours before serving, place the strawberry slices in concentric circles, starting at the outer edge of the cake, then so that the slices overlap slightly with each inner circle, then recover and refrigerate until ready to serve. I wasn't as happy with the consistency as I would have liked because the batter was too soggy but the flavors were definitely well balanced because the sweet strawberries balanced by the tart vinegar. One of my friends who was there had even asked for the recipe.